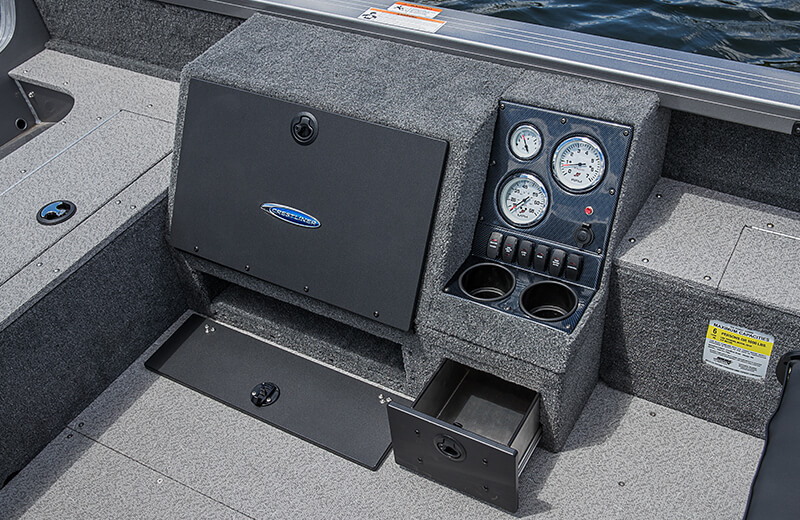 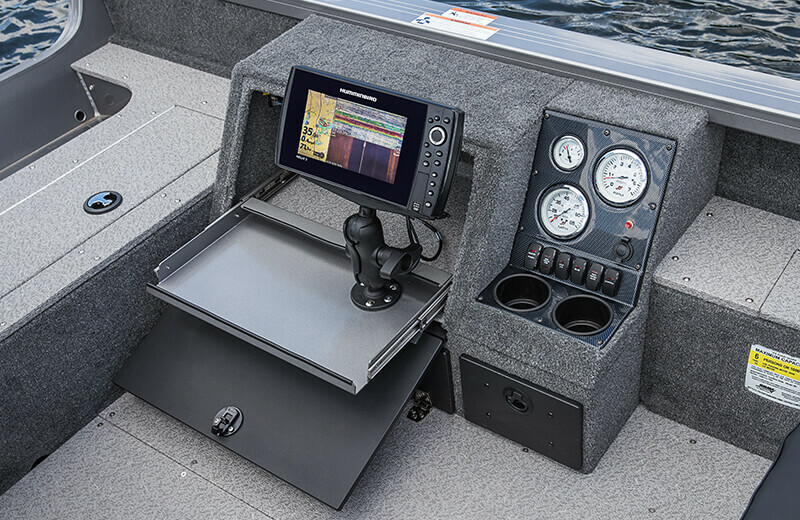 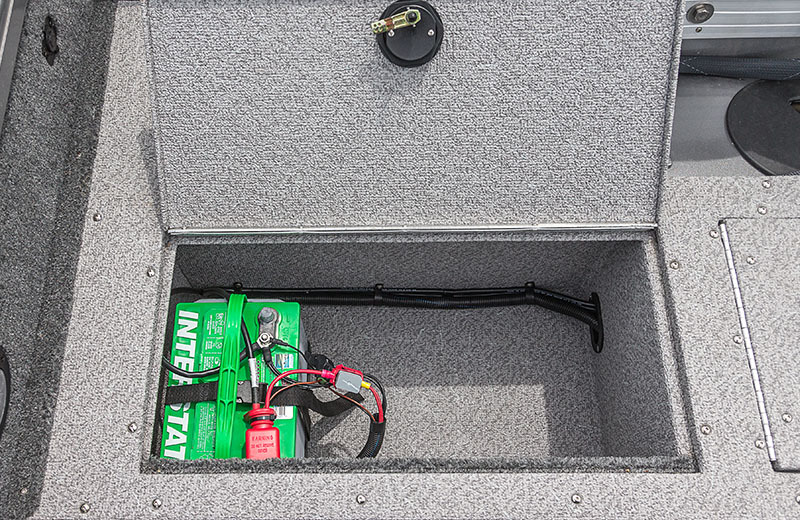 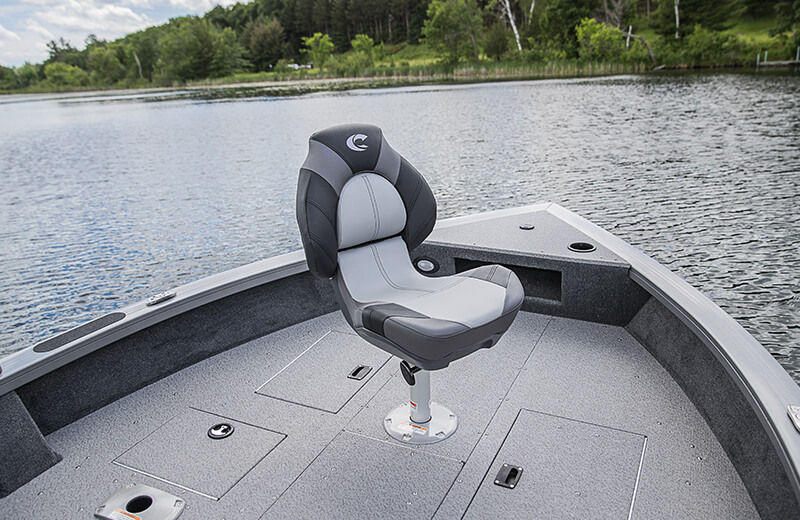 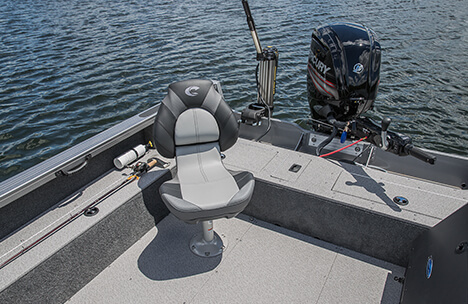 Inside the 1750 Pro Tiller you’ll find a user-friendly command console that features an electronics compartment, a lockable storage drawer, tackle storage, gauges, rocker switches and a 12V power outlet. 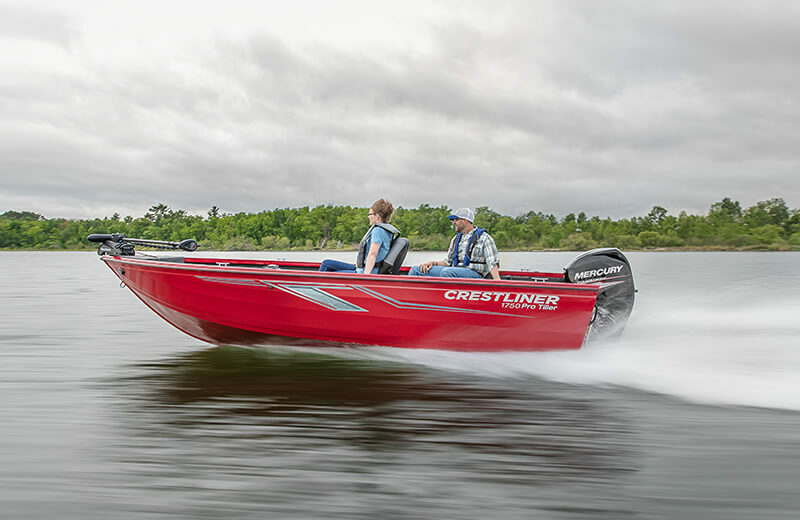 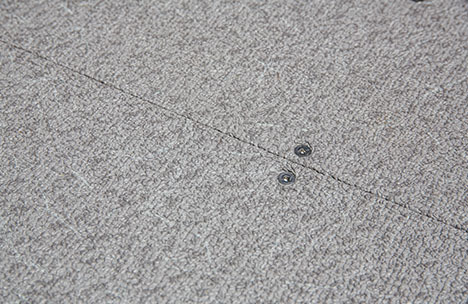 The boat sports Crestliner’s trademark all-welded aluminum hull that you can rely on in just about any condition. 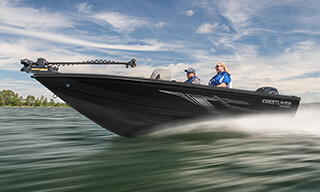 No matter what you fish or where you do it, the 1750 Pro Tiller will make sure you’re successful. 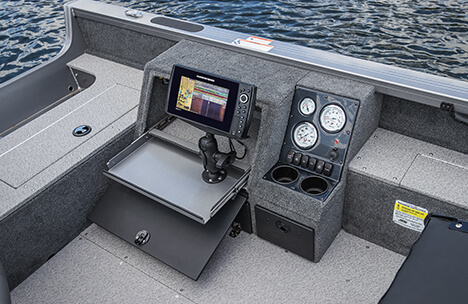 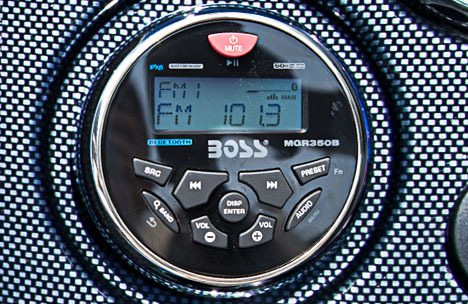 The durable, intuitive command console puts an electronics tray, drink holders and tackle storage all with in the driver’s reach. 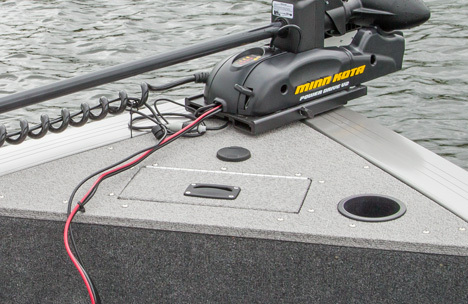 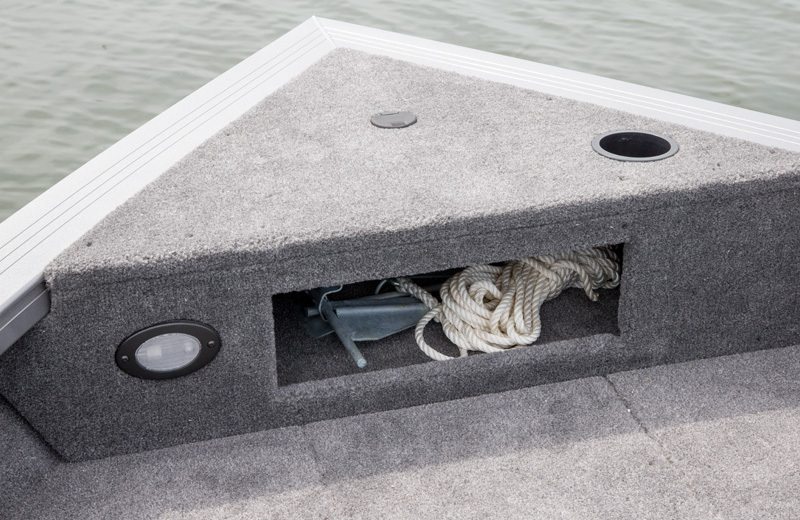 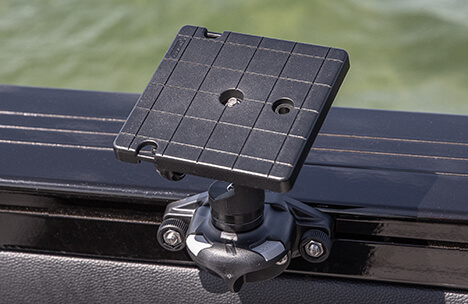 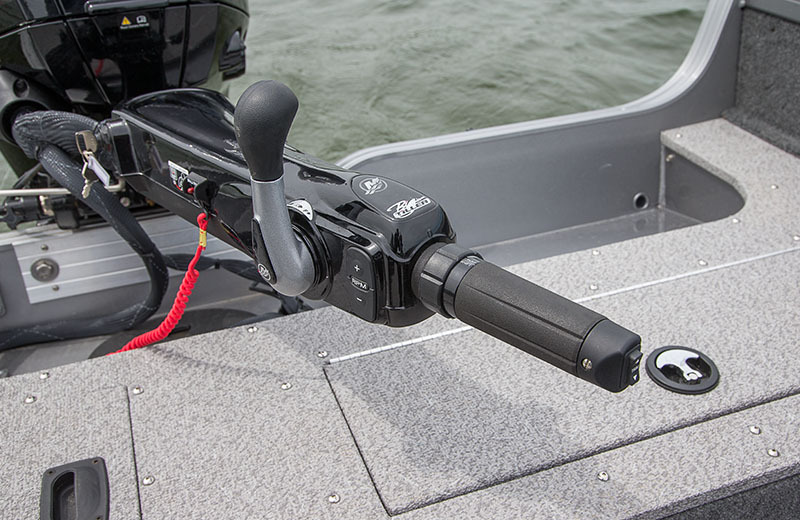 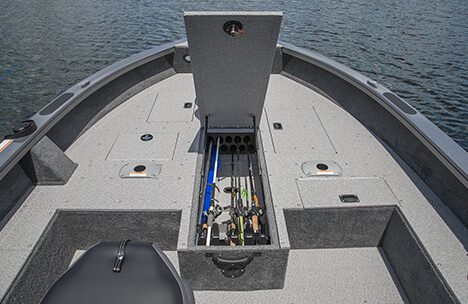 Starboard rod storage holds up to 8’ rods, while topside rod straps hold additional rods. 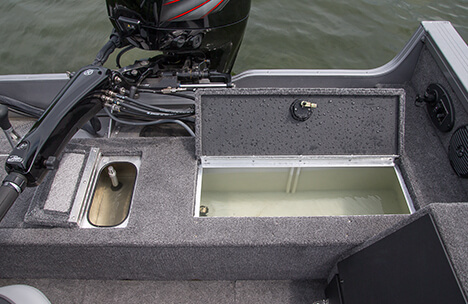 A 15-gallon stern livewell and dedicated 2.75 gallon baitwell are positioned within easy reach on both sides of the tiller control. 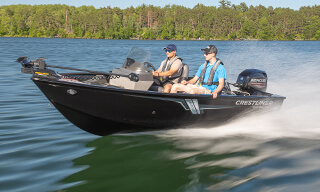 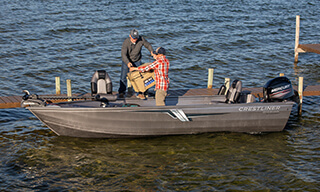 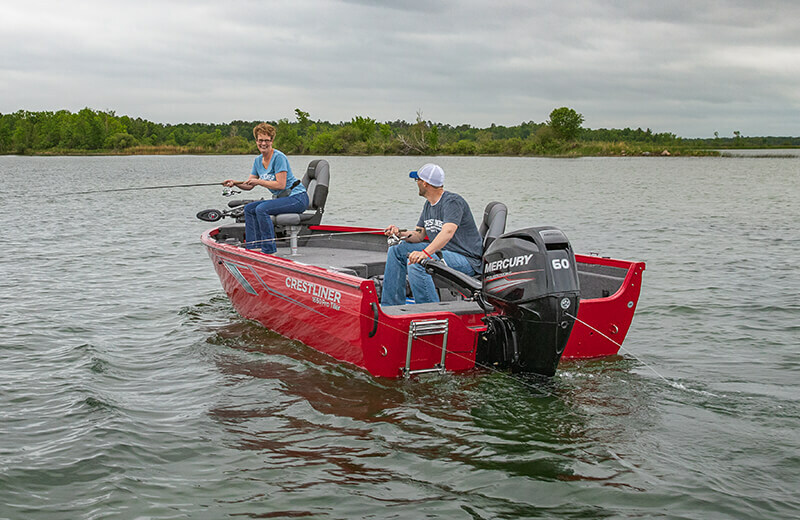 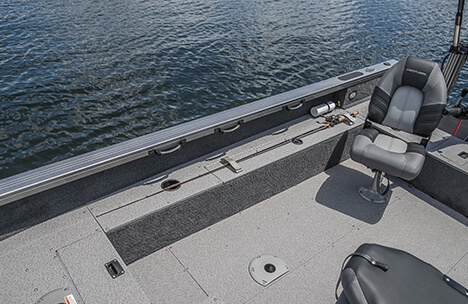 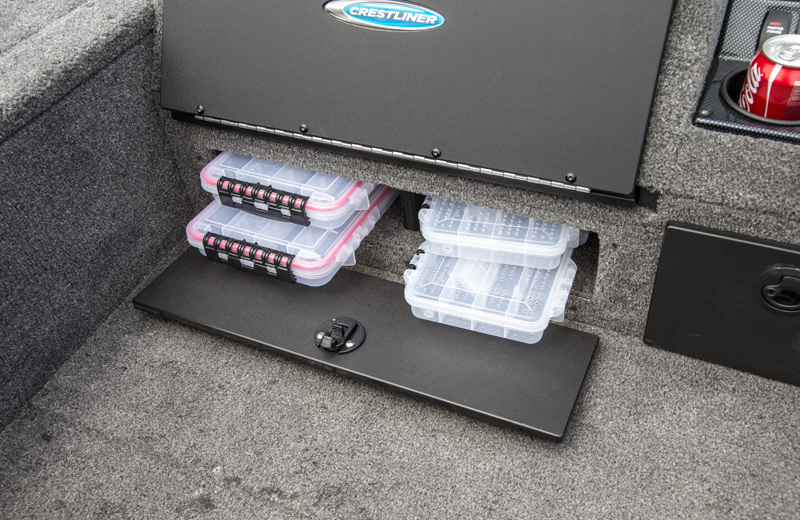 Outfitted with individual rod tubes for protection, a spacious center rod storage area cradles five 7’ rods, five 6’9” rods, and a 36v battery and charger. 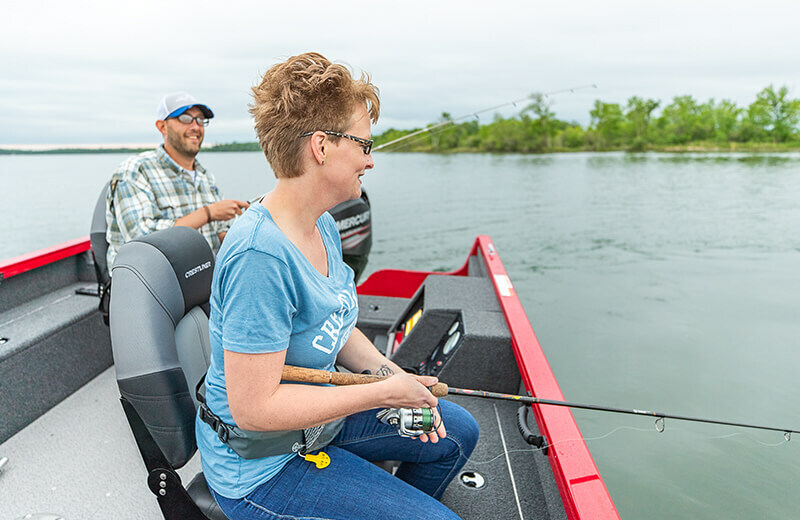 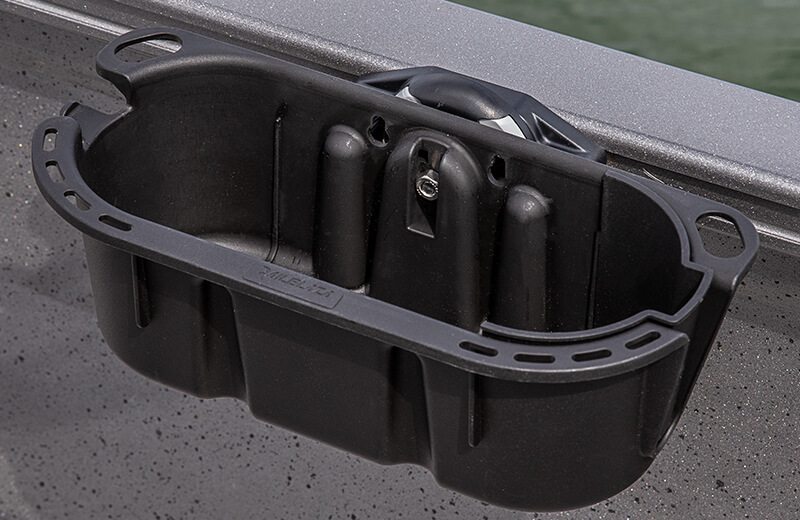 A 12-gallon aerated livewell keeps your catches fresh when you’re casting from the front of your boat. 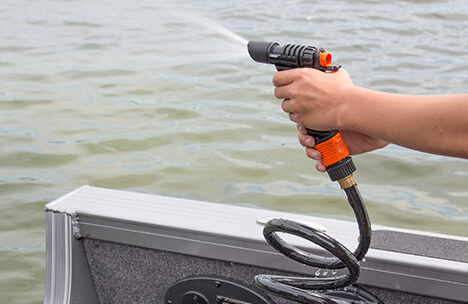 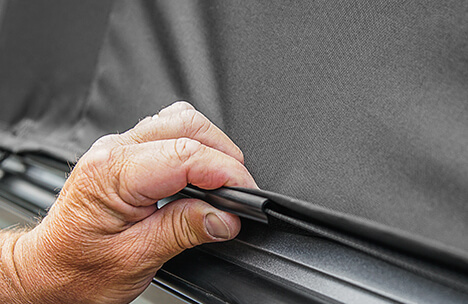 Easily hose down your Crestliner after a tough day of fishing with this optional heavy duty Washdown System. 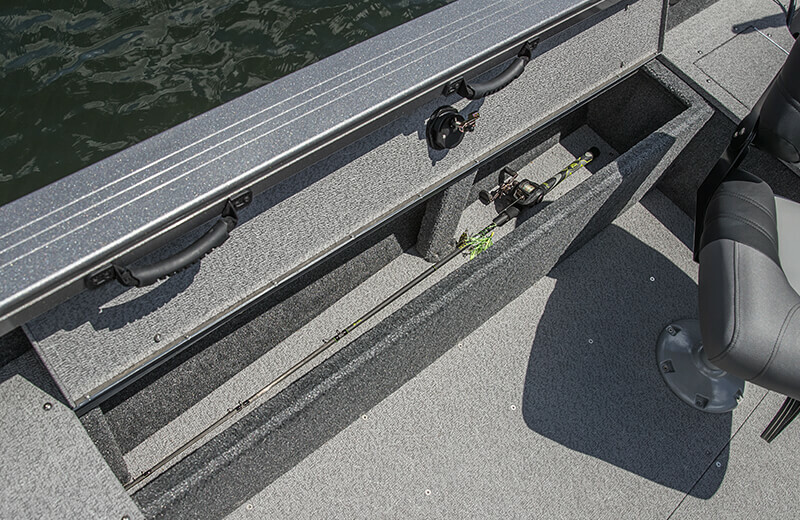 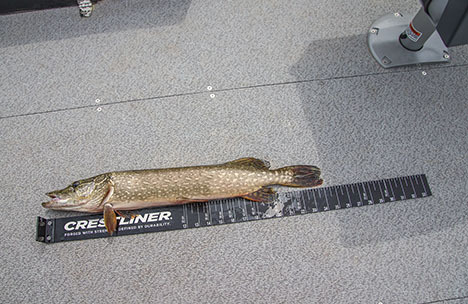 1.5-gallon bow baitwell keeps your bait easily in reach. 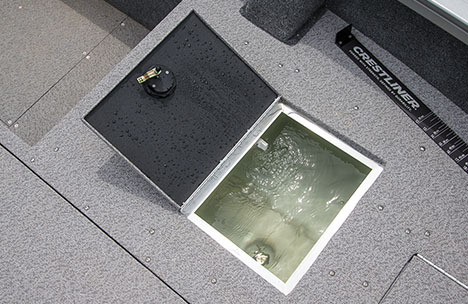 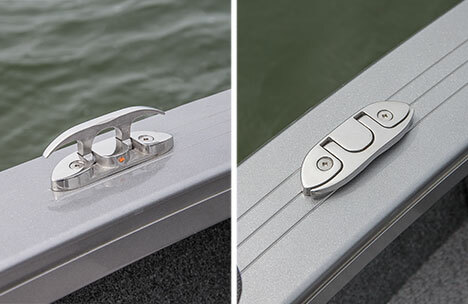 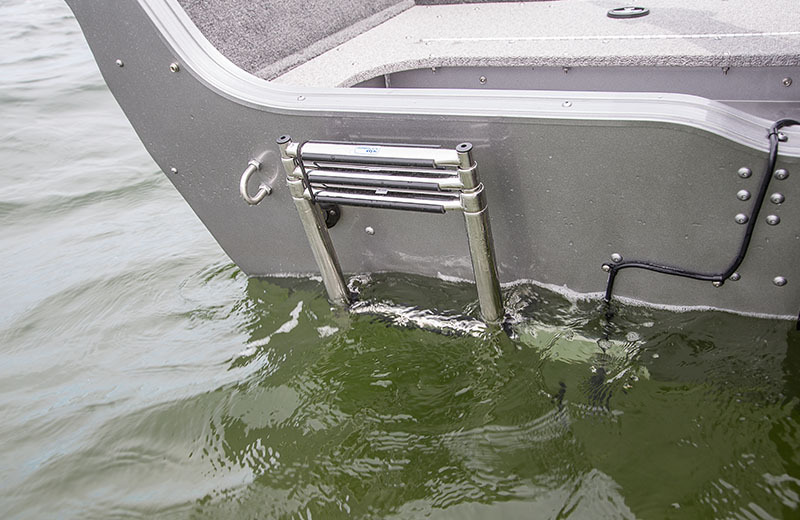 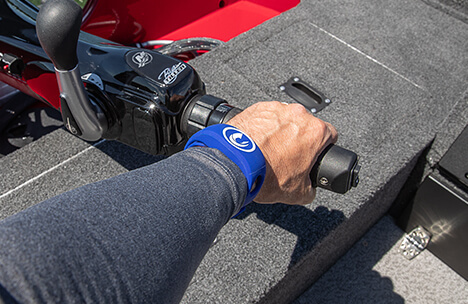 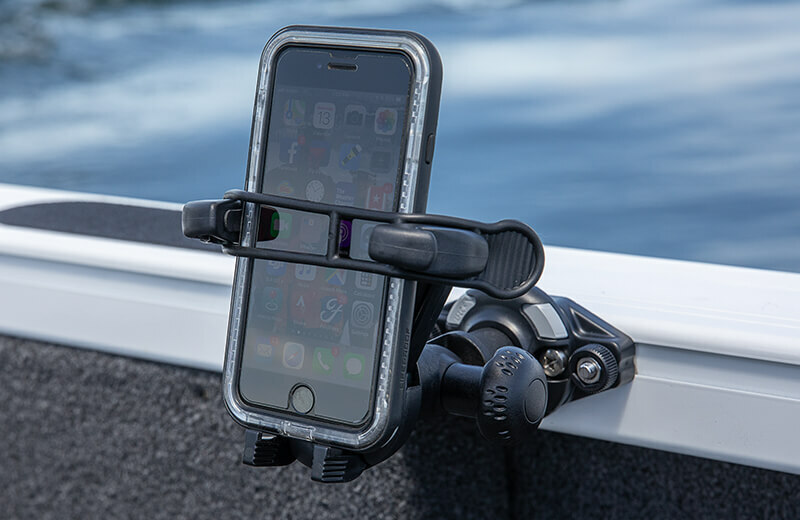 Stainless steel flip-up cleats provide secure tie down when docked and a clean gunnel while trolling.